BrewDog, a craft brew company, has come under fire for its latest marketing stunt. The company launched ‘Beer For Girls’ as part of a tongue-in-cheek campaign to highlight gender inequality, and address the gender pay gap issue in the UK. The Pink IPA would be sold at a cheaper price to women, while men paid the full price. Take a look at more responses below. 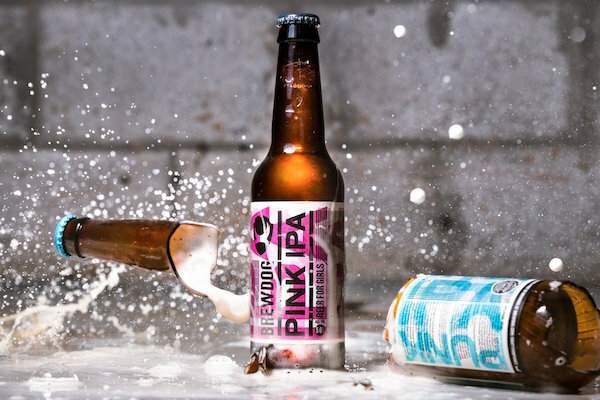 Pink IPA from BrewDog on Vimeo. Seems like yet another bizarre move by them. I really dont see how it tackles sexism or the gender pay gap. Doesnt this label and name just perpetuate sexism further? And I get that you did this deliberately as a publicity stunt, but it’s completely put me off you as a company and I doubt I’ll buy your beer again. Honestly hashtagging sarcasm? If you have to explain the joke it’s not a good joke. Also the virtue signalling, ew. Fire your PR/marketing gang, they’ve ballsed this up big time.